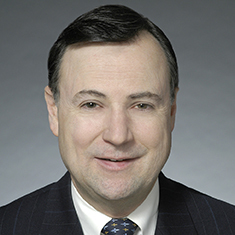 Thomas J. McFadden counsels governing boards and senior management of major hospitals and hospital systems, charitable foundations, associations, large multi-specialty physician groups, organ procurement organizations and ancillary care providers in a variety of strategic, transactional and corporate healthcare matters. He also serves as outside special healthcare regulatory counsel to a select group of companies. Clients seek Tom’s advice regarding healthcare mergers and acquisitions, including the acquisition/divestiture of hospitals, clinics, psychiatric hospitals, physician practices, retirement, long-term care and assisted living facilities and ambulatory surgical treatment centers. He provides regulatory advice on the financing of health care facilities to clients including real estate investment trusts (REITs), banks and other financial institutions. Tom is a frequent speaker at national and local seminars, colleges and universities.